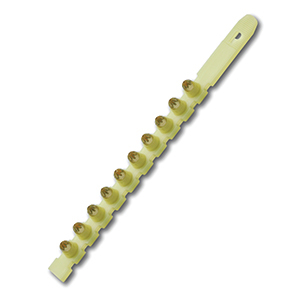 PRODUCT: Powers Fasteners .27 Caliber Safety Strip®, Yellow, Strip Load, 100-Pack. Price/Pack. Hazmat Shipping Applies. UPS GROUND ONLY. Powers #50626. 10 loads/strip. 10 Strips/Box. Hazmat Shipping Applies. UPS GROUND ONLY.